Under the cover of night, HED has been developing their Turbine Braking Technology that uses a specially machined and anodized directional brake track to get you to slow down, way down. The new look of the HED Jet 4 Plus Black is downright menacing in the best way possible, and they'll stop you 25% sooner in the dry and 70% sooner in the wet. 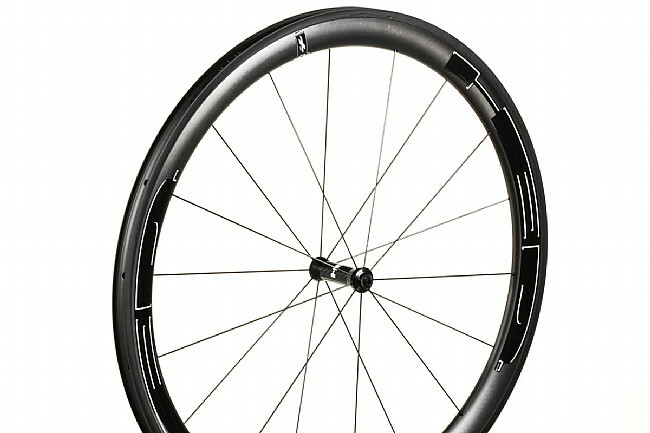 Replacing the previous Jet 4 Plus FR, the Jet 4 Plus Black remains an excellent choice for an all-round race wheel at 46 mm deep, and the 25 mm wide rim has a 20.7 mm inner width to optimize traction, comfort, and aero advantages. 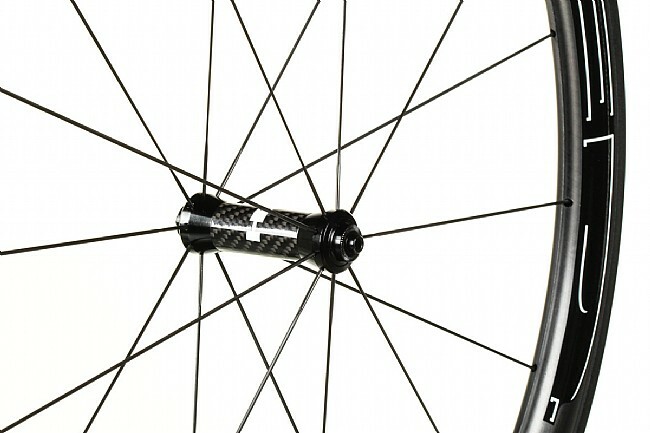 The front and rear weigh in together at a claimed 1630 g. Titanium skewer, rim tape, and valve extender are included.